By leaving the party’s position in doubt, Democrats have created an opening for Trump. 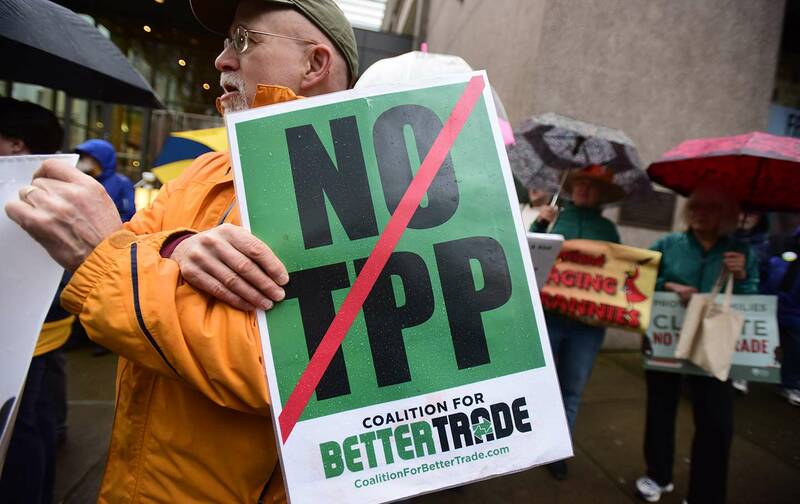 “The majority of Democrats, like the majority of Americans, are against the TPP. Hillary is against the TPP. Bernie is against the TPP. Let’s not be bureaucrats, let’s be leaders,” declared former NAACP president Ben Jealous as he urged the Democratic Party’s platform committee to amend the document to include specific opposition to the proposed Trans-Pacific Partnership trade deal. But despite the fact that the party’s presumptive nominee, Hillary Clinton, and her chief rival for the nomination, Bernie Sanders, have expressed explicit opposition to the deal, despite the fact that the overwhelming majority of congressional Democrats oppose it, despite the fact that Democratic and Republican primary results suggest that is a big issue for 2016 voters, the bureaucratic approach prevailed. The platform’s language was strengthened to express general opposition to trade policies that have stirred fervent opposition in industrialized states such as Michigan, Ohio, Indiana, and Wisconsin. But proposals to add anti-TPP language to the document were rejected Saturday at the platform committee session in Orlando, as Clinton backers (and most uncommitted members of the committee) generally opposed the amendments, while Sanders backers supported them. But the Jealous amendment lost on a 106-74 vote.